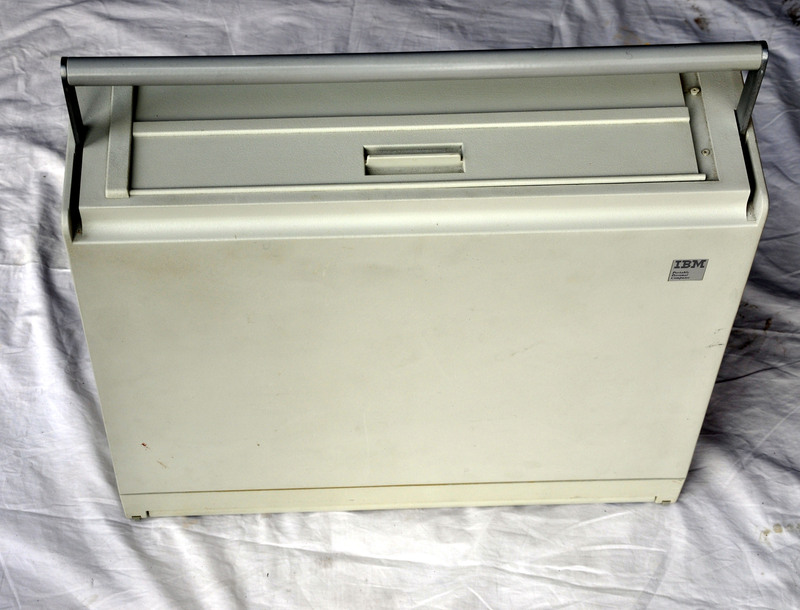 This is the IBM Model 5155 portable computer all closed up ready for carrying. Although weighing almost 14Kg it is more lugging than carrying. - moving two catches, open the bottom that reveals the keyboard. 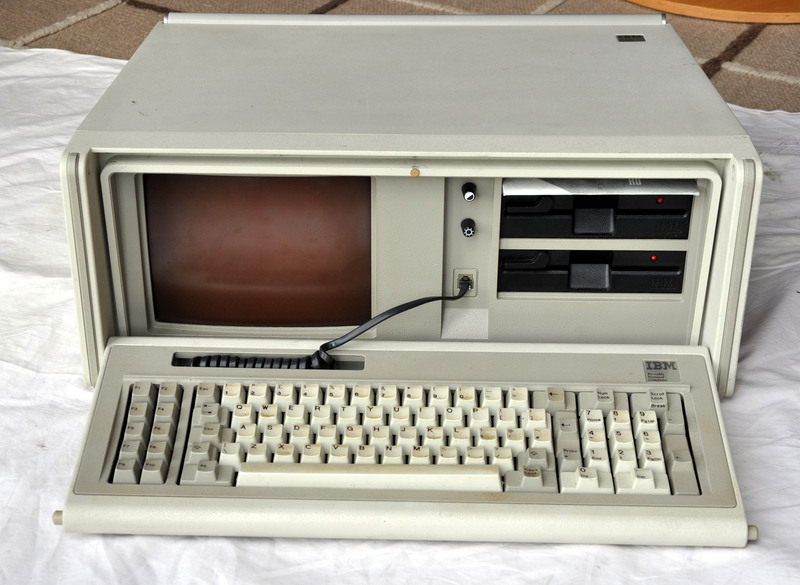 It is a full size QUERTY keyboard with 10 function keys on the left and a numeric keypad on the right. 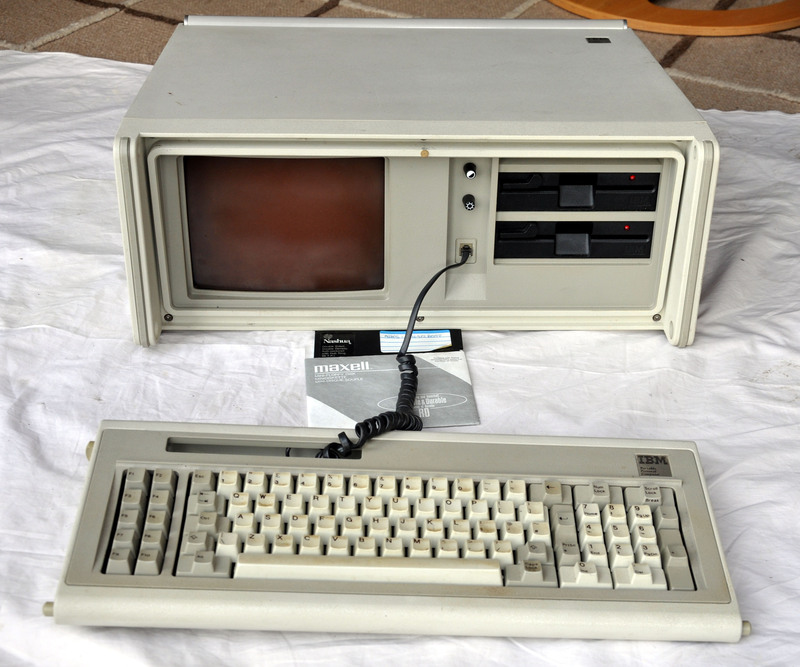 The monitor is inbuilt 9" monochrome and there are two 5 1/4 inch 360KB floppy disk drives. The keyboard can be detached. 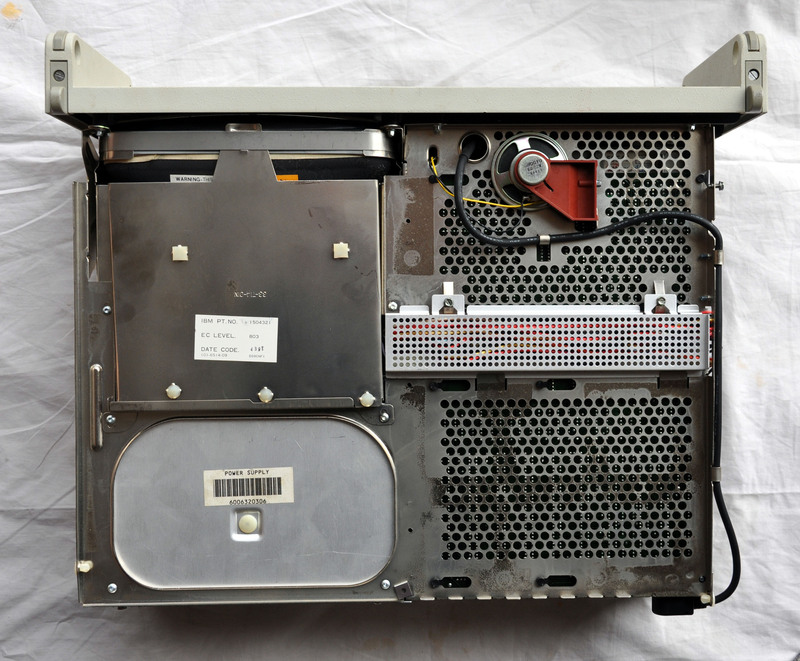 Removing 6 screws from the front allows the casing to be removed. On the left is the power supply and cathode ray tube. On the right are the two 5 1/4 inch floppy disk drives. In between are 4 printed circuit boards. 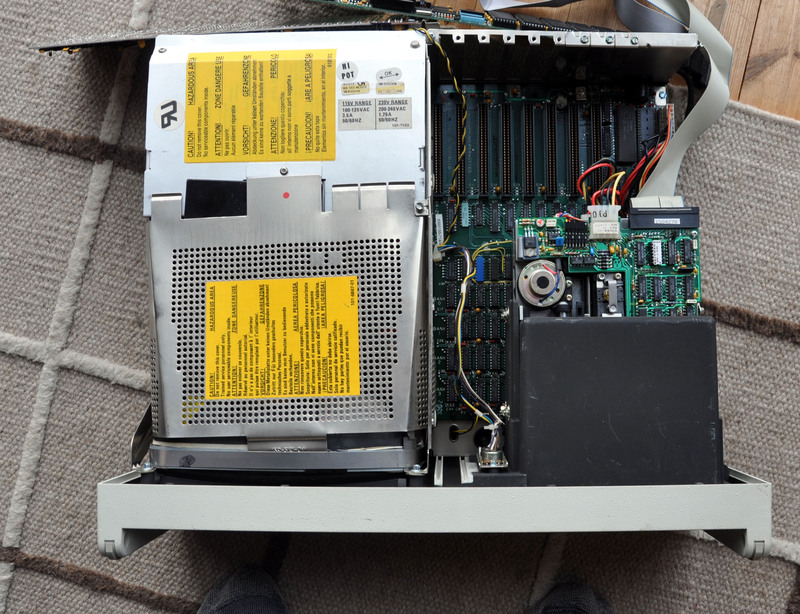 Removing the printed circuit boards reveals the mother board underneath, with its eight PCI sockets. The CPU was an Intel 8088 @ 4.77MHz. The front of the first. 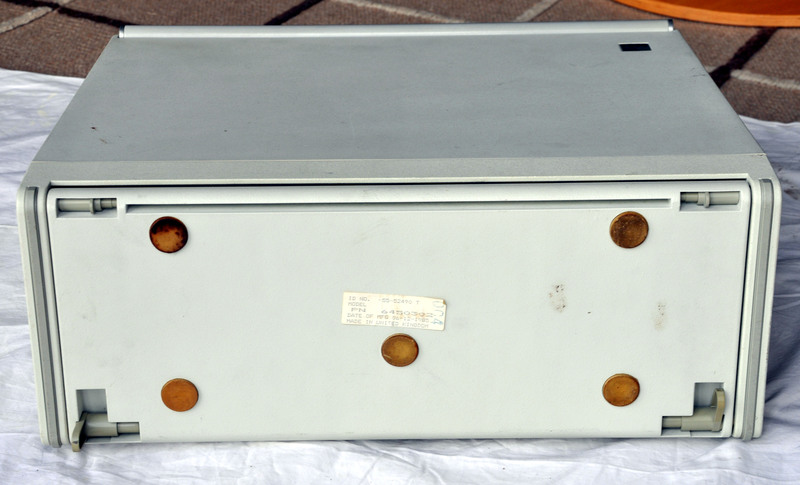 The large 40 pin DIP is a Motorola 6845 video address generator. The PCB is labelled COLOR GRAPHICS. This allowed the connection of an external colour monitor. 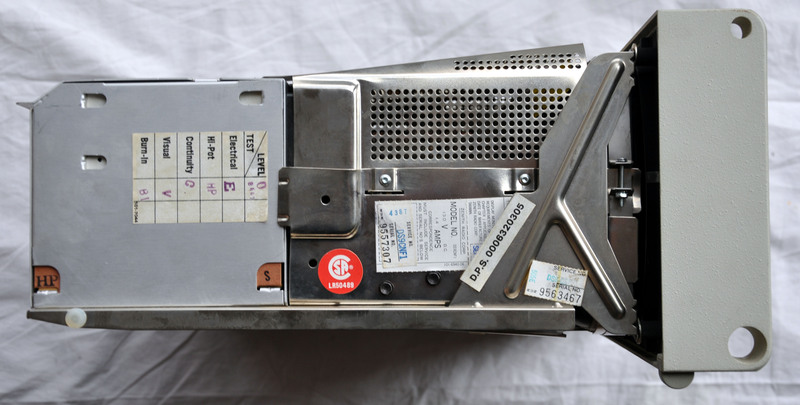 The rear of the graphics card. The next card is an AST SixPakPlus card. 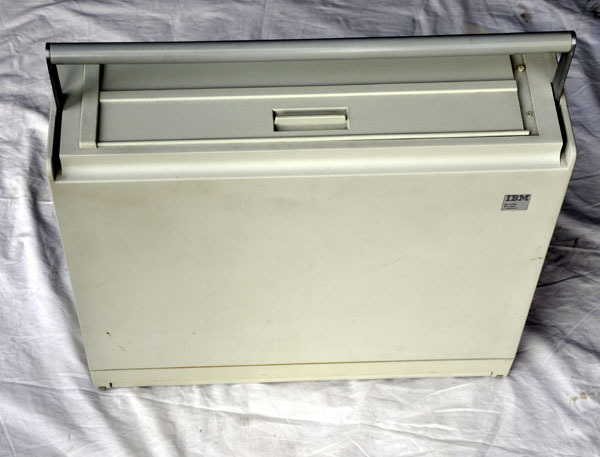 On the right is a INS8250N-B 40 pin DIP. 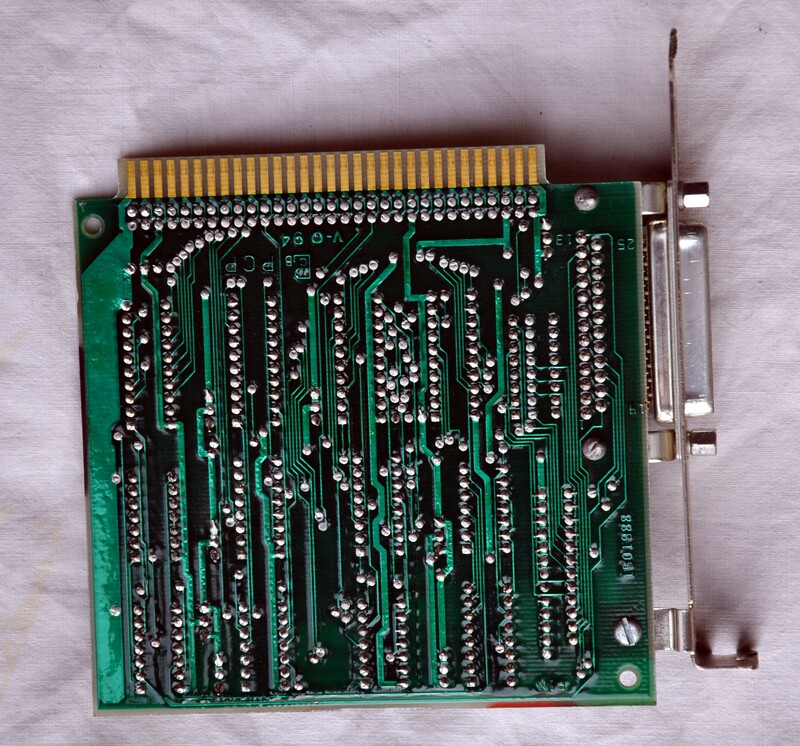 This is a Universal asynchronous receive/transmit chip that supports the parallel port on the card. 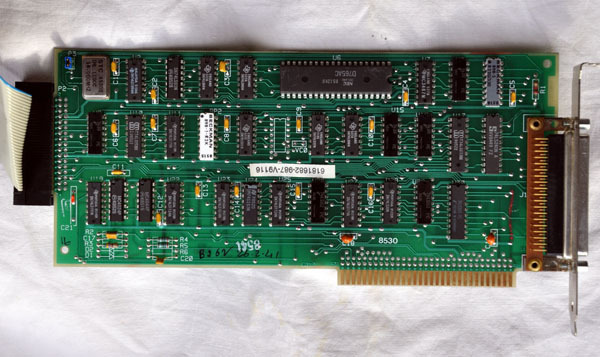 On the left of the card is 5x9 MT4264-15 DIPs, this is extra RAM that, added to the RAM on the motherboard, totalled 640KB. 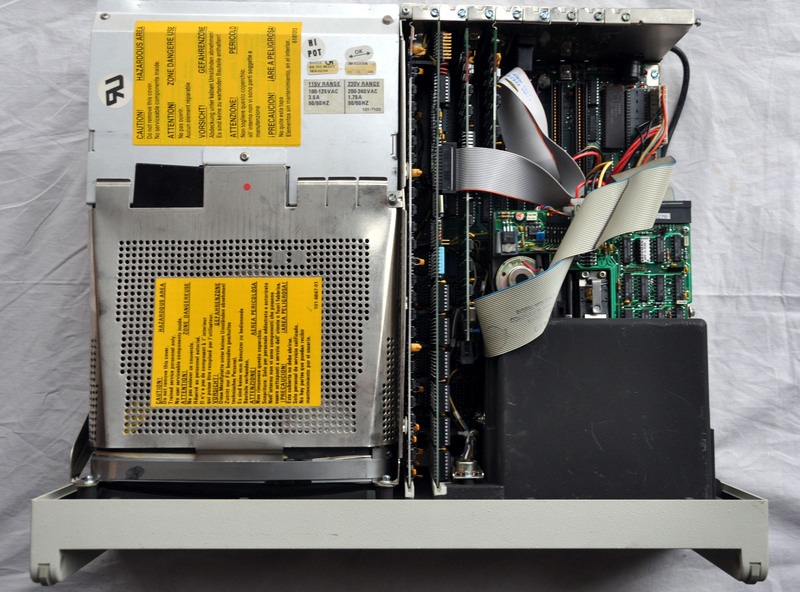 Rear of the AST SixPakPlus card. The next card is the floppy disk controller. The big NEC 40 pin DIP labelled D765AC is the engine. 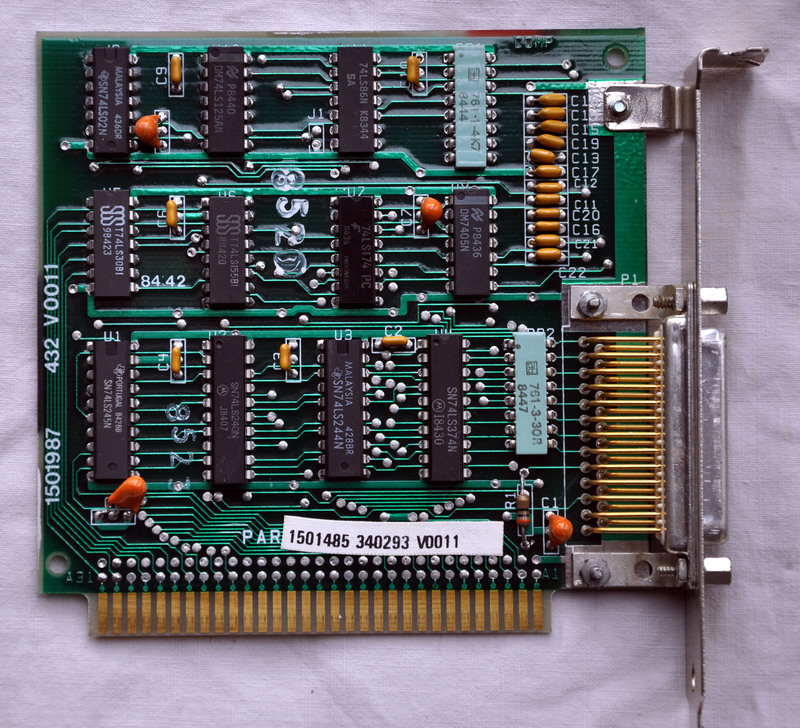 Rear of floppy disk card. This is the fourth card, it provides the parallel port that typically connected a printer. 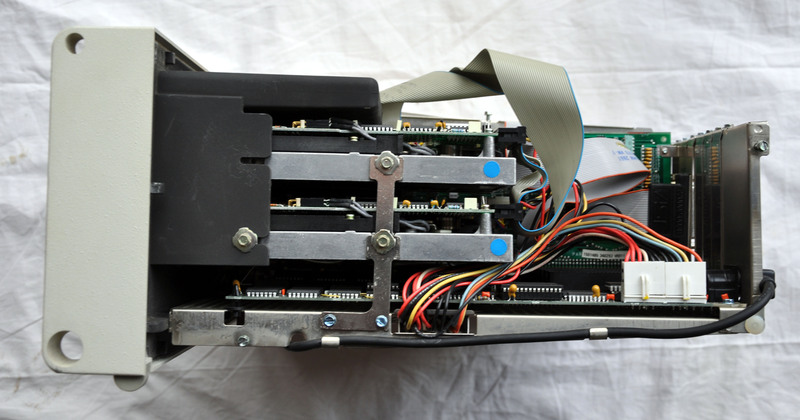 The parallel port transmitted 8 bits at a time to a local attached device. Rear of parallel port card.